This little information Kiosk at National Mall in Washington D.C. still exists today. At first it seems to be an rather unremarkable photo. 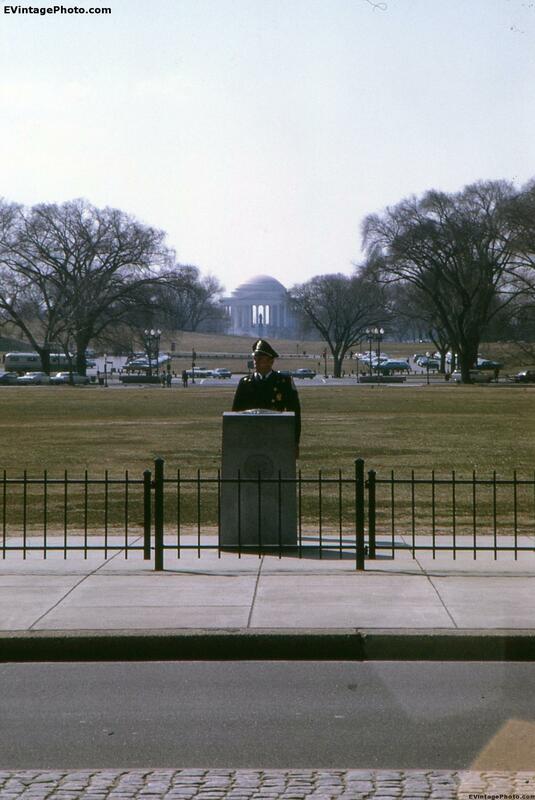 Some guy, in a military uniform, manning a kiosk at the National Mall in Washington D.C. Imagine this job in the summer! The information kiosk even looks the same, without any shade at all. Vintage photo of the information Kiosk at National Mall in Washington D.C. I really love that the Thomas Jefferson Monument is in the background of this picture. Looming, yet far away. A bit of a parable for today and Jefferson’s impact on the United States in general. Posted in Washington D.C. -	Tagged Kiosk, Washington D.C.